INCHEON, April 3, 2019 (Xinhua) -- Chinese soldiers carry to a plane coffins containing remains of martyrs of the Chinese Peoples Volunteers killed in the 1950-53 Korean War, during a transfer ceremony at Incheon International Airport in Incheon, South Korea, April 3, 2019. South Korea on Wednesday transferred to China the remains of 10 more Chinese martyrs killed in the Korean War. 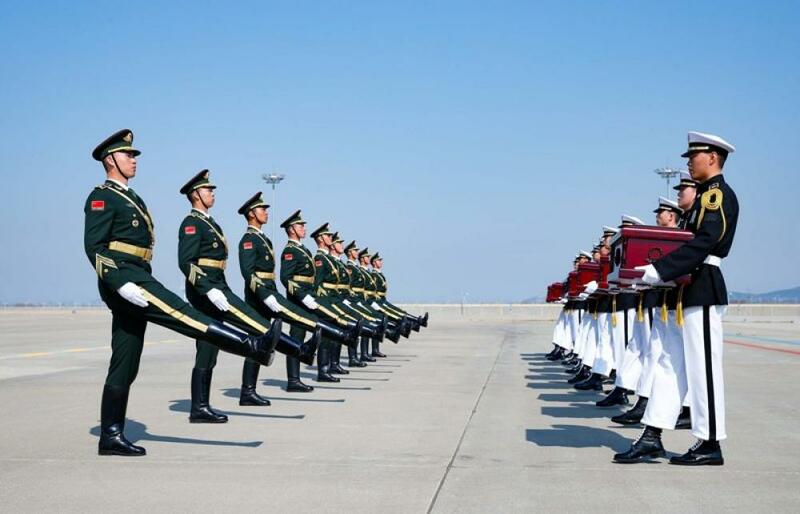 INCHEON, April 3, 2019 (Xinhua) -- Chinese soldiers (L) receive from South Korean troops coffins containing remains of martyrs of the Chinese Peoples Volunteers killed in the 1950-53 Korean War, during a transfer ceremony at Incheon International Airport in Incheon, South Korea, April 3, 2019. 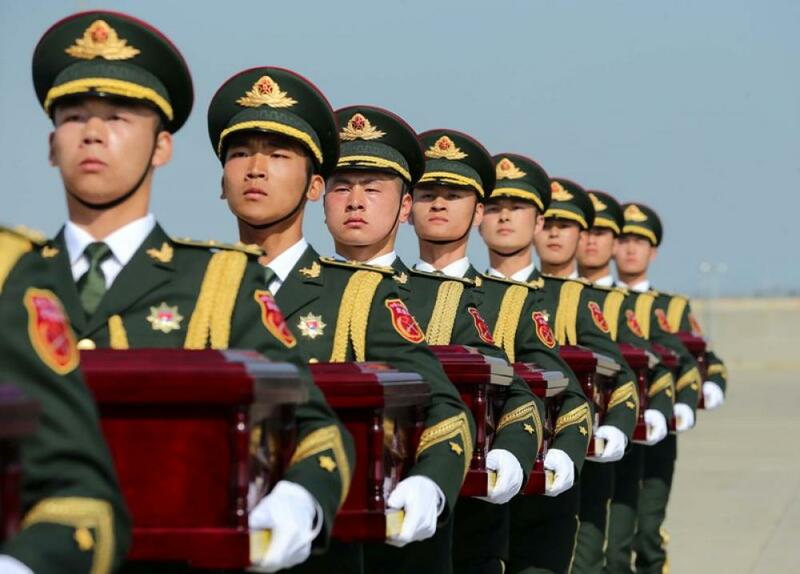 South Korea on Wednesday transferred to China the remains of 10 more Chinese martyrs killed in the Korean War.